The Expatriate Services Division of the Immigration Department has announced that on or after August 1, 2016, some Employment Pass (EP) (Category III) applicants in the construction, manufacturing or mining sector will have to undergo a medical examination upon entry. Additionally, foreign nationals will be required to produce an EP or Professional Visit Pass (PVP) approval letter upon entry. Lastly, employers will no longer be able to include allowances when calculating the monthly base salary for EP (Category I, II and III) applications. A new set of regulations by the Expatriate Services Division of the Immigration Department will implement three major changes to several Employment Pass (EP) categories on or after August 1, 2016. First, some EP (Category III) applicants in the construction, manufacturing or mining sector will have to undergo a medical examination upon entry. Additionally, foreign nationals will be required to produce an EP or Professional Visit Pass (PVP) approval letter upon entry. Lastly, employers will no longer be able to include allowances when calculating the monthly base salary for EP (Category I, II and III) applications. On or after August 1, 2016, EP (Category III) applicants from 15 countries who intend to work in the construction, manufacturing or mining sector will have to undergo a medical examination upon entry. Affected nationals will have to undergo a medical examination at a Foreign Workers Medical Examination Monitoring Agency (FOMEMA) panel clinic. On or after August 1, 2016, foreign nationals must produce their EP or PVP approval letter upon entry to obtain EP or PVP endorsements at the Immigration Department. Accompanying dependants must also produce their principal's EP approval letter upon entry to obtain Dependant's Pass/ Long Term Social Visit Pass endorsements at the Immigration Department, provided their applications have been approved. In addition, visa nationals (including those who require a visa for work, e.g. U.S. citizens and most European nationals) with PVP approvals will have to apply for a reference visa prior to entry into Malaysia, which could delay application processing times. Currently, foreign nationals can obtain an EP or PVP endorsement even if they entered prior to obtaining EP or PVP approval, and visa nationals with PVP approvals entering without a reference visa can pay for a Journey Performed visa in lieu of reference visa in Malaysia. On or after August 1, 2016, employers will no longer be able to include allowances when calculating the monthly base salary for EP (Category I, II and III) applications. On or after August 1, 2016, foreign nationals subject to the medical exam requirement should not enter Malaysia prior to approval of their EP and reference visa (for visa nationals) and should arrange to undergo the medical examination immediately upon entry. Affected nationals should contact their immigration professional for the location of the nearest FOMEMA panel clinic and the related registration procedure and documentation requirements. Once the requirement for foreign nationals to produce an approval letter upon entry is effective, the EP and PVP application process will take longer. 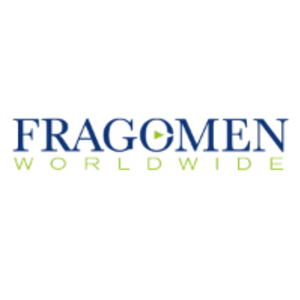 Fragomen may be able to assist visa nationals with reference visa applications. Employers should ensure they do not include allowances in initial and renewal of EP (Category I, II and III) base salary calculations on or after August 1, 2016. This alert is for informational purposes only. If you have any questions, please contact the global immigration professional with whom you work at Fragomen or send an email to fragomen.malaysia@fragomen.com.